The Kitchen Symphony by the Toy Theatre Troupe forms part of the Fresha! Festival 2018. Directed and choreographed by Clinton Marius, the production features Marius himself along with Toy Theatre Troupe members which include Nhlanhla Zondi and Bongani Mbatha. The Fresha Festival takes place on the Bay of Plenty Lawns on the Durban beachfront from January 19 to 21. 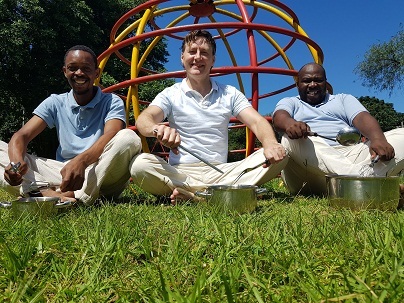 Performances of The Kitchen Symphony will be held on January 20 and 21 at 15h00. The cast will also take part in the opening parade on January 19.